It’s hard to believe that in 2012, the year I will turn the ripe ol’ age of 28, I will also celebrate two years of running. 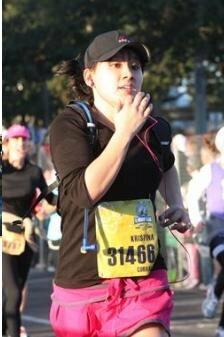 Summed up in my Running Story, I went from a total non-runner to now, training to run a BQ. I know they say these things don’t happen overnight, but I really cannot put into words how/what/where or when it happened, but running has definitely become a huge part of my life. (10) I’m not “good at” other sports. Opposite ends of the Zumba spectrum....my instructor sister, and my klumsy self. (9) You can always improve. Running around town, or running in a race, you are continually humbled – humbled by those who are much faster than you, and humbled by those much slower than you. Old, young, fat, skinny, tall, short…these are but minor considerations when it comes to running. You truly get out what you put in when it comes to running and I look forward to the challenges as I continue my running journey. (8) It’s an excellent talking point. As a receptionist, it’s easy to revert to mundane small talk with clients and visitors (“how’s about that weather?” can only be discussed a certain number of times in the day). Since running makes me happy, I try and sneak in some sort of running tidbit into a majority of conversations and am so excited when it results in meeting another runner! Race registration fees can be exorbitant, but racing does not have to be synonymous with running, and really, when you think about it, running doesn’t “require” a lot – a great pair of shoes, a well-fitting sports bra and really, the rest is details compared to something like cycling (uh, bikes are expensive) or skiing/snowboarding (gear + lift passes) and the like. While I do not recommend eating a lot of junk and then justifying it with miles you’re gonna run later, running does allow that cushion for a few extra calories here and there that is definitely desirable. On a serious note, running has taught me so much about how my body works most efficiently, and so the element of “food” really is a reason to love running! I am a goal-oriented, list-making fool. Running fits right into my neat little world, where I can check off a box after completing a run, or ‘run’ (harhar) yet another round of McMillan statistics. While I make new running goals, I simultaneously am able to factor in the idea of planning to other facets of my life – I used future running goals as a baseline, for example, in establishing a 5 and 10 year rough plan for career/life/etc. (4) Makes you look good! Like SkinnyRunner says, it’s a valid enough reason; I mean, she made a shirt that says it, so it’s gotta be true. Running is stress relief, for sure – and not just physical stress. Running is my opportunity to call all the shots. There are no deadlines, no grades, no boss, just you. (2) You can save lives. The people, the people, the people! The support of the running community is just amazing! When I first started out, I was but a mediocre jogger, but through twitter, Facebook, FitFluential, #runchat, #runDisney – I’ve found so many people to help not only establish my identity as a runner, but offer tips, training help, encouragement and so much more. Check out some fellow runner’s reasons here. 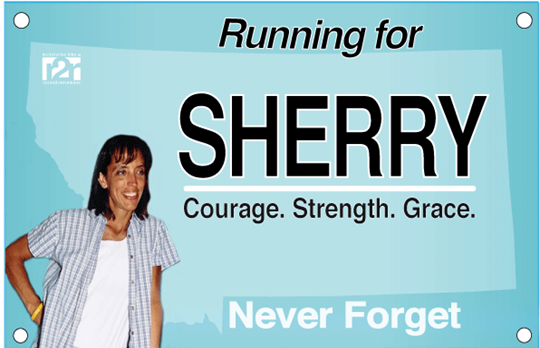 Please consider Running for Sherry this weekend. I will be! I love this post.. why? it sounds like exactly my story and your top ten list is right on. I am running Shamrock to try and BQ as well… I WILL be one of the runners cheering you on when you qualify. I have followed you on Daily Mile, I have seen not only how hard you work but how talented you are in speed and endurance. You got this in the bag. Would love to see you at Shamrock, but if not I will be sending you super fast vibes. I’ll be participating in a run for Sherry as well tomorrow. We are so fortunate to be here running. I am sure Sherry will join us all on a heavenly run above us. WordPress threw your comment into spam so I was just found it today, your kind words definitely cheered up my Monday! Thanks, David! I don’t know why, but WordPress threw your comment into spam and I just rescued it!!!! Love this, Krissy. You rock! 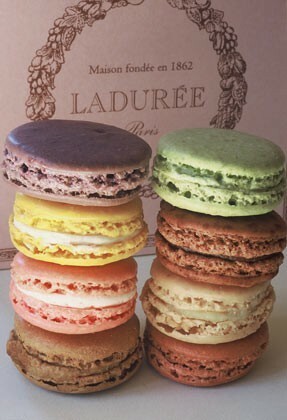 Um, Laduree macarons are my favorite food in the entire world. Tied with Fauchon macarons.